VIa PrismTweets you can “Send colorful tweets longer than 140 characters with emoticons. Include smiley’s in your tweets to make it more powerful and effective”. 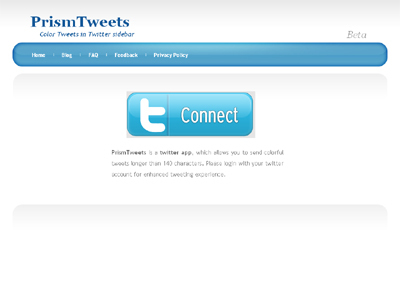 PrismTweets allow you to create formatted text, images and smiley and upload it to twitter as image along with your tweet.